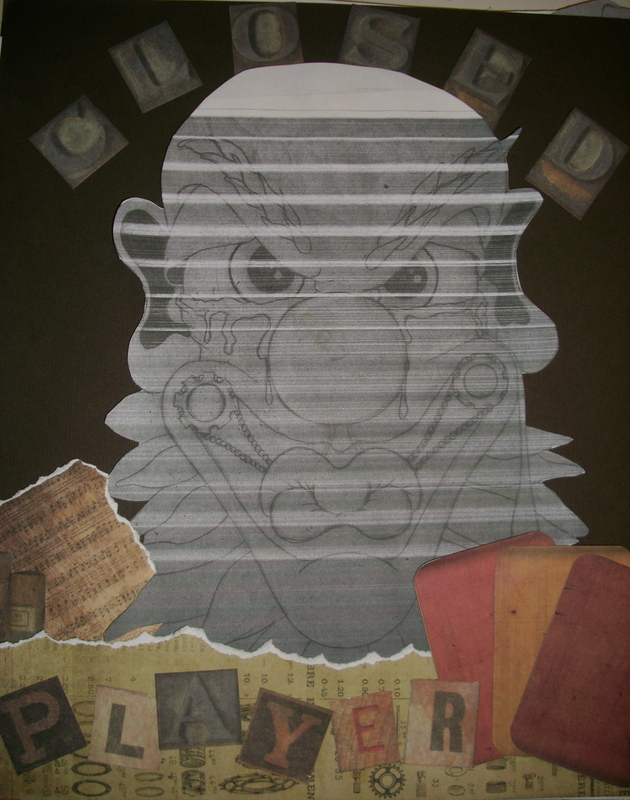 ALL Paintings at The Story Emporium are for sale… With 2 new additions…. 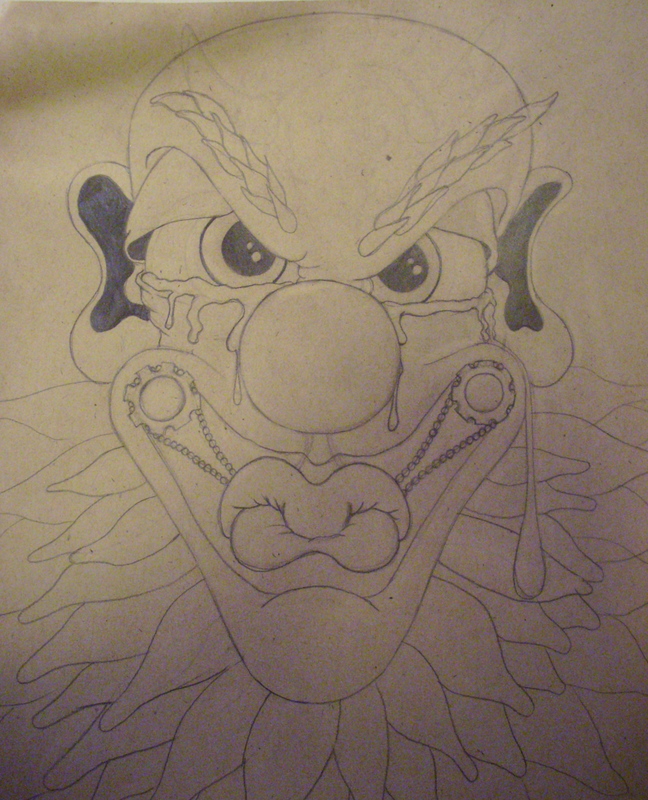 Starting with my newest clown from last night I will show you him raw (sketch) and then collage … to be painted today. I did work late last night but had to take a break and enjoy a cocktail. So as promised… he will be painted today. Drying now and prepped for painting. The word closed appears over his head because he is just that … a closed book. Unreadable. He plays his hand of cards well although this doesn’t serve his own best interests it keeps him protected from ever feeling real love. So he is destined to walk through his life alone. Thanks so much for following and enjoying my artwork. When others look forward to my new pieces I find myself even more excited to continue creating. 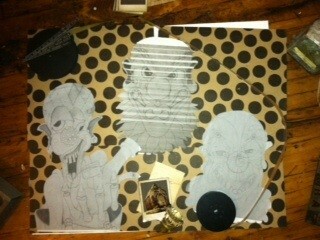 Next Post More snow = More creative time!! !